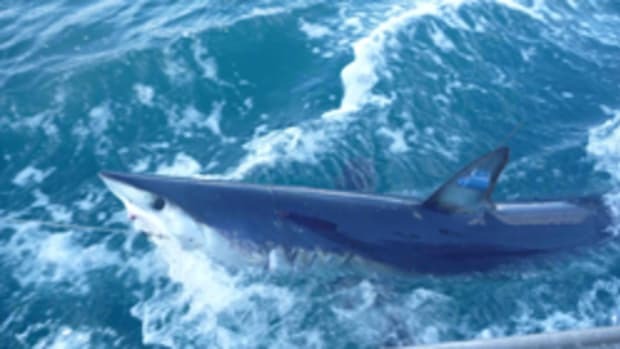 A Texas angler fishing for red snapper in the Gulf of Mexico landed a 375-pound mako shark Monday without ever casting a line. "All of a sudden something hit the side of the boat," Jason Kresse, 29, told Associated Press. "He ends up landing on the back of the boat." Click here for the full story with photo of the angler with his catch.